Updates from the second half of our West Coast promotional tour. We're finally home from our two-week West Coast promotional tour. Somehow we made it through the 31-hour drive, the snow, and an unfortunate flat tire situation that stranded us in Minneapolis for half a day—it was definitely an adventure. And it was definitely worth it. In our last blog update, we were still in San Francisco, the city we spent the most time in during our trip. Before we took off, we met up with our friend and fellow bike-theft warrior Jenny Oh Hatfield to talk about her latest efforts to recover stolen bikes around San Francisco. She does an incredible job of publicizing stolen bikes on social media and recently she's been working on improving how the Laney College flea market sells used bikes. Check out this article about how Jenny and Officer Matt Friedman of the San Francisco Police Department are fighting bike theft in the Bay Area. Seattle was our next stop, for a quick but incredibly productive day. 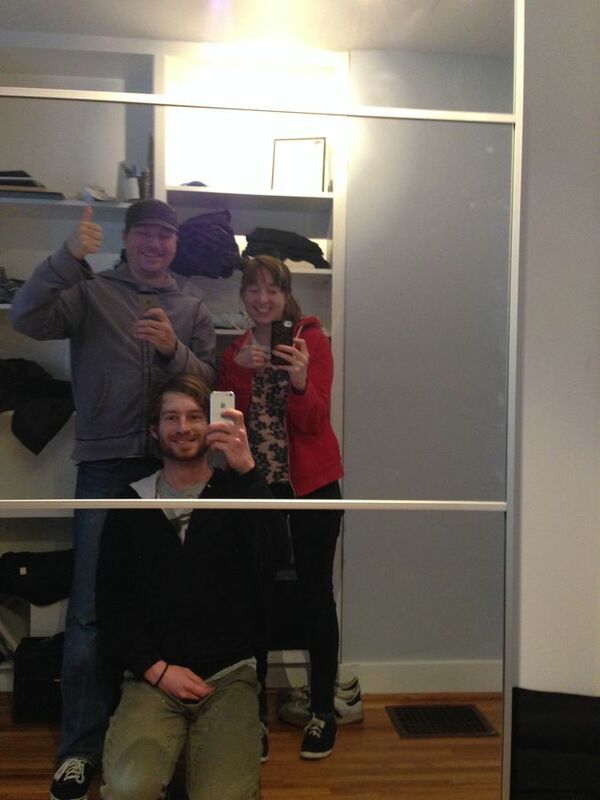 We met with Tom, the founder of Seattle Bike Blog, and had a great talk with him about our trip and our future plans. We also signed up awesome Seattle shops like G&O Family Cyclery. G&O is a brand new, family-focused cargo bike shop just opened by Tyler Gillies and Davey Oil. They're incredibly enthusiastic, friendly guys, and we had a great time hanging out with them at their shop, talking about the Index and cargo bikes. Shops that sell cargo bikes (like G&O and Flying Pigeon L.A.) are very excited about the Bike Index because their customers make an investment in a vehicle for transportation that they often lock up outside and depend on—and their customers need a way to protect. After Seattle we went back to Portland! We stayed with our friend Bryan Hance, founder of StolenBikeRegistry.com, who has been fantastically supportive of the Bike Index since the very beginning. He was an amazing host. Not only did he offer his home, his washer and dryer, and favorite places to eat in Portland, he gave us a few of his favorite cycling-related books Bikenomics by Elly Blue and Joyride by Mia Birk. We're really excited to see the new version of StolenBikeRegistry.com and work on integrating with it. While in Portland, we visited a lot of bike shops, signing up Hollywood Cycling and indoor mountain bike park The Lumberyard to use the Bike Index. 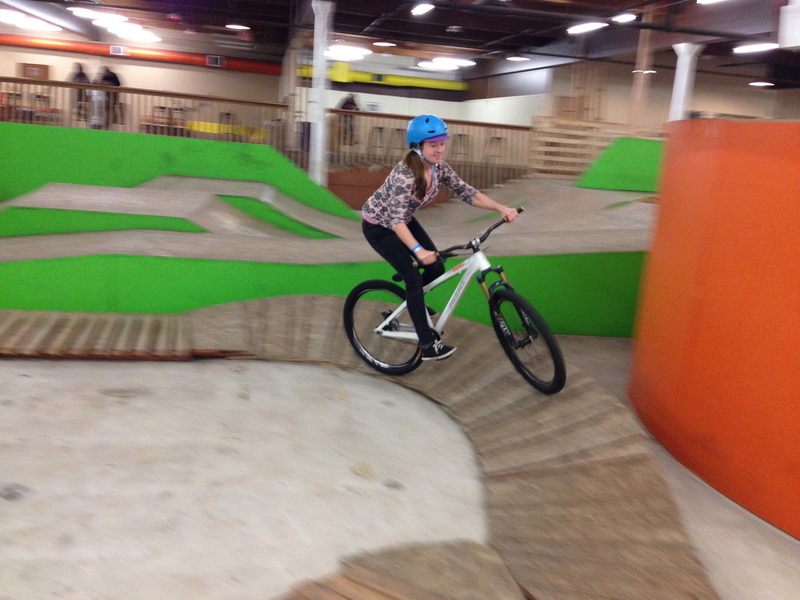 The Lumberyard also hosted a party for the Bike Index, where Erin got a chance to try out mountain biking for the first time. 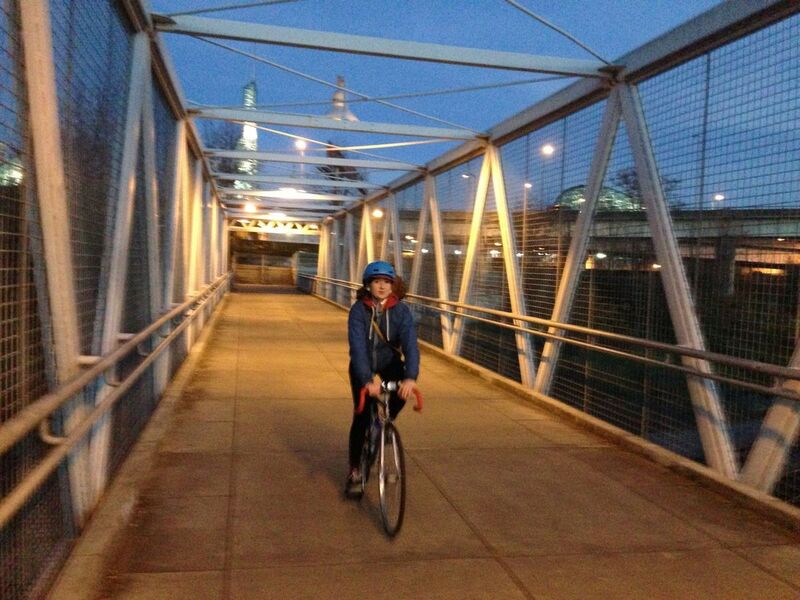 We spent our last night in Portland biking around in the city's incredible bike lanes and over its amazing bridges, and checking out the famous Powell's Books. We could have spent a lot more time in Portland—the city does boast more than 80 bike shops, after all. But 2 weeks after we started out on this trip, we had to head home. We couldn't be happier with the results of our trip: we signed up bike shops in six cities, turned Internet friends into real life friends, successfully navigated the hills and altitudes of Denver, San Francisco, Los Angeles, Seattle and Portland by bike, and successfully (until Minneapolis, anyway) drove ourselves and our three bikes more than 4,000 miles to the West Coast and back. Thank you so much to everyone who gave us a place to crash and a chance to talk their ear off about everything we're doing. Because of all of your help and support, every day the Bike Index is adding more bikes and becoming a stronger national bike registry. Let's keep going!